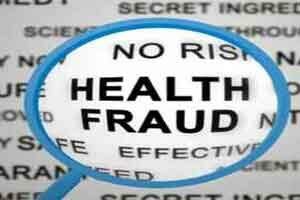 Washington: A 48-year-old Indian-American doctor in Alabama has been charged with a health care fraud of USD 9.5 million through illegally conducted tests, and prescribing controlled substances for illegitimate purposes. Shelinder Aggarwal simultaneously filed guilty plea to the charges. In the plea, he agreed to forfeit his former clinic on Turner Street Southwest in Huntsville, along with USD 6.7 million, the Justice Department said. Aggarwal had earlier repaid USD 2.8 million to Medicare and USD 45,843 to Blue Cross after audits, according to his plea agreement. The agreement stipulates a 15-year prison sentence. A federal judge must accept the terms of the agreement before it is final. The doctor has been charged with one count of distributing a controlled substance outside the scope of professional practice and not for a legitimate medical purpose in July 2012 and with one count of conspiring to execute a health care fraud scheme against Medicare and Blue Cross Blue Shield of Alabama. According to the Justice Department, Aggarwal surrendered his medical license in 2013, along with his federal Drug Enforcement Administration certificates to prescribe controlled substances, after the Alabama Board of Medical Examiners initiated an investigation. “Shelinder Aggarwal treated his medical license like a license to deal opiate drugs,” US Attorney White Vance said. “He also defrauded Medicare and Blue Cross Blue Shield of more than USD 9 million by performing drug tests he never used to treat his patients. Thanks to this prosecution, Aggarwal is no longer a drug dealer masquerading as a doctor,” he said. “His pill mill is closed, he must repay the money he stole from health insurers and he will serve time for his crimes,” Vance added. According to the court papers, Aggarwal was a pain management doctor who operated chronic pain care devices in Huntsville. The documents state that in 2012, about 80 to 145 patients a day visited Aggarwal’s clinic. He saw majority of the patients and wrote all prescriptions. Initial patient visits typically lasted five minutes or less, and follow-ups two minutes or less. Aggarwal did not obtain prior medical records for his patients, did not treat patients with anything other than controlled substances, often asked patients what medications they wanted and filled their requests. He also prescribed controlled substances to patients whom he knew were using illegal drugs and did not take appropriate measures to ensure that patients did not divert or abuse controlled substances. According to Prescription Drug Monitoring Program (PDMP), Alabama pharmacies filled about 1,10,013 of Aggarwal’s prescriptions for controlled substances in 2012. That would amount to around 423 prescriptions per day if he worked five days a week, and resulted in about 12.3 million pills. The PDMP rated Aggarwal as the highest prescriber of controlled substances filled in Alabama in 2012, with the next highest prescriber writing a third as many prescriptions. Corrupt practices of Indians are gradually world known which is regardless of caste and religion.